This is the second of a 5-year series of workshops whose main goal is to implement and evaluate faculty- and curriculum-development activities based on Kreyòl-based Open Education Resources for science and math courses in Haitian schools and universities. How can these resources be most constructively used to improve science and math courses in Haiti? 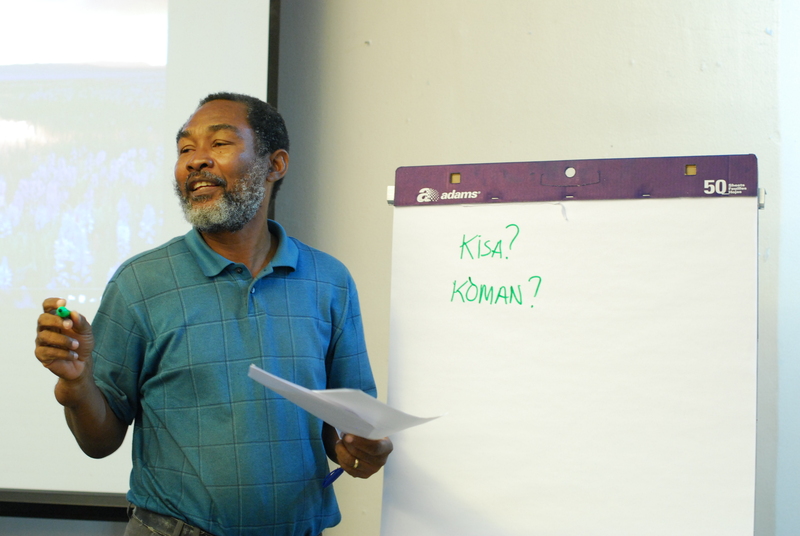 How can similar resources be designed in situ by educators in Haiti and become fully functional and sustainable? These workshops are based on specific samples of courses and resources from MIT. This time around, the sample will consist of workshops in math (differential equations), physics (electro-magnetism, electric circuits and Newtonian mechanics) and biology (biochemistry and genetics). To help achieve full mastery of the materials, we will organize hands-on exercises based on them. We will also use this opportunity to develop a long-term evaluation plan in collaboration with our colleagues in Haiti. As we register participants to the workshops, we will give priority to applicants who teach in Haiti and who already have a Master’s Degree and those who are currently enroled in a Master’s Program in engineering, science or mathematics. Applicants to the workshops should provide copies of their Curriculum Vitae alongside their highest diploma and, if relevant, attestation of registration in a Master’s program. PDF or JPEG copies of these documents should be sent via email to mit-haiti-at-mit-dot-edu . The deadline for registration is Friday, January 4, 2013, or until all slots are filled. Please note that the workshops are designed for the introduction and exploration of tools, and not content. It’s important that participants be already fluent with the corresponding disciplines. For example, the biology workshops will assume that the participants are already thoroughly familiar with fundamental concepts in genetics and biochemistry, and are ready to experiment with software tools for active learning in these areas.